Happy Tuesday lovelies, hope you enjoyed your weekend. Like most of you, I love sunglasses, sometimes I think it's more than love, I never leave home without wearing sunnies, unless it's raining or snowing. It's kinda addiction, but you may be surprised if I tell you that I don't have too many sunnies. Somehow, I have never bought any Chanel sunnies. So, you can imagine, how happy I was when my husband brought me this pair of sunglasses from Chanel store. I knew, he was going to get a new pair of sunnis for himself but I had no idea he would buy a pair for me too. That was really nice surprise. Thanks for reading sweeties, and have an amazing day. these are gorgeous! what a lovely surprise from your husband! So your husband brought it home to you, how sweet is that! It is amazing, a very beautiful ad classic pair of sunnies! I am sure you will love to wear these fabulous sun glasses! I haven't worn them anywhere yet, Denise, but as you say, I will love them, I guess. Thanks for stopping by, dear. I love these! I want a pair! Your husband is a keeper, Nina! And you choose a really gorgeous pair! I didn't choose, Shireen, it was his choice, and I'm happy I liked the style. Yay! So pretty + luxe! Cat-eye sunglasses have always been my favorites. A little bling and sparkle is always something I enjoy too. Lucky doll your hubby did great picking the cool styles for you. Such a lucky girl! They are stunning! Congrats on such an iconic purchase. There are just some things that you definitely must spend on. I just love those sunnies. Omg, they look so cute! Yay for new sunnies! You are going to love these! Ah I love these! I might have to purchase one myself! Your husband definitely did a great job! They're gorgeous! Thanks for sharing! Great investment. You will be wearing them for many seasons to come! Those chanel glasses are so fierce! Sunnies are definitely an addition for me. Love those! They look so classy!!! Perfect choice! Love these! Chanel makes some great sunnies. What a great husband. They're very pretty! Your hubby did a fab job! I am addicted to sunnies as well. LOL @ won't getting another surprise from hubby. These are really cool. I bet they look fabulous on you. Aww.. Nina, your hubby's so sweet! Lucky you! You probably jump out of excitement hihi..
Btw, hun, I'm hosting a Jord wood watch giveaway contest, I hope you can join. These sunnies are amazing! Congrats on your purchase! Awe, how lovely is mr hubby! I love these sunglasses, they are super chic dear! So pretty! Loving the tortoise color! How sweet, Nina! Your hubby has nice taste! I love those CHANEL sunglasses! I got my first pair for my 19th birthday and they're still going strong a year and a half later! What a great treat - yours are absolutely beautiful! Thats so sweet of him they are super cute love it! So sweet! And these will be a classic for years to come. So glamorous!! totally love them!! Such a nice pair of sunglasses! I am sure they look great on you. Enjoy! Such a beautiful and thoughtful gift! Love them! 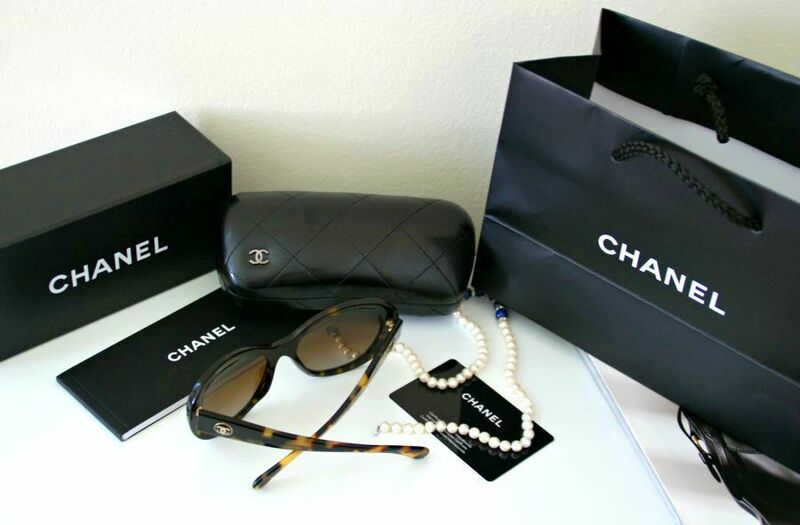 Those sunnies are stunning, I have been debating between getting Chanel or Prada. But that Chanel case kind of screams classy and makes me weak every single time I see it haha. Things that high end brands do to you. They are the most gorgeous sunglasses in the world, you have a very lovely partner. LOL! great purchase! cant go wrong with some chanel!